WordPress has become the synonym for publishing tasks in the web. WordPress offers the core functions and templates for quick launching of the content management systems that are apt for publishing. Moreover, the plugins available in it allow for the desirable level of customization of the website. WordPress websites also perform smoothly for eCommerce demands and allow for effective and error free e-sales front development and management. 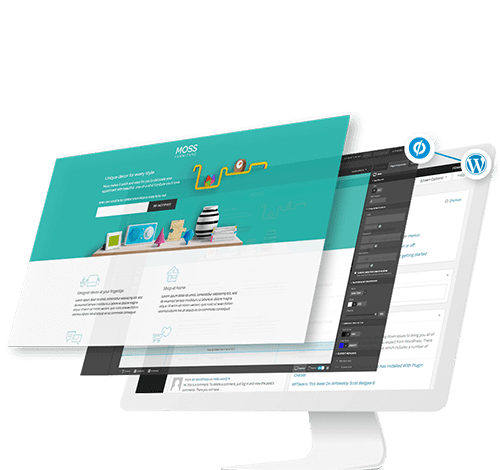 However, to make a perfect WordPress website, it is imperative that the webmaster has complete knowledge of the functions, plugins and templates offered in it. This allows for the development of a resonant e – publishing concept for the targeted set of audiences in the web domains. Every successful business starts with a great website and we deliver you the same. we have hired the best team to create freshly brewed designs to give an extra edge to your business that opens up the opportunities for you. Designing a great website requires skills and creative insights and we have it both that turns your visual image into virtual reality.